Happy New Year to you! If you haven't made any resolutions, don't worry - I always say that if it it important enough , you will start that very day and not wait until the next new year! 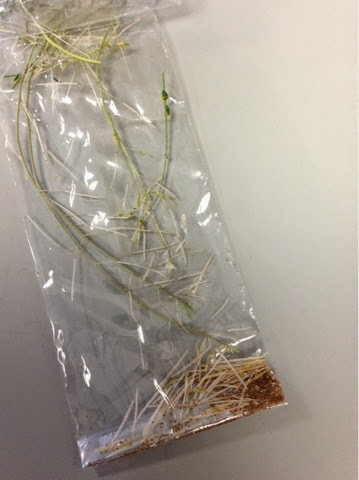 I am quite excited already because the year for me has started with my first harvest of Arabidopsis seed. This is my model organism for my PhD but unfortunately there is a bit of a shortage of seed I be department ( as it is a model organism for LOTs of researchers here!). So as soon as the academic term started in October, I was first tasked with inducing some seedlings to flower , self fertilise and produce more seed. Thanks to controlled environment chambers, I was able to convince my seedlings that they were in fact on spbritish summertime, not in the depths if the wet winter outside, and just today, I had my first 'harvest'. Let's hope there are many more to come!